‘Aikido – The art of fighting without fighting’ in PDF format. The following sections provide some brief overviews of various Aikido/Martial Arts related books read by members of the ADS. Please note any comments made are only those of the reviewer and may not be considered as comments by the Aikido Development Society. 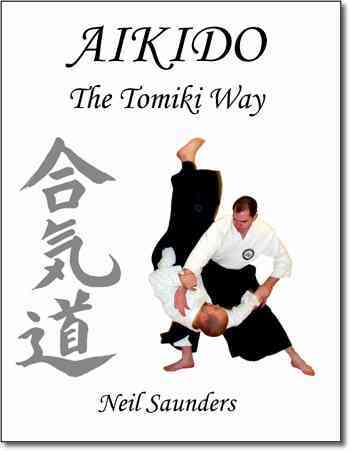 A basic guide to the Tomiki style of Aikido as practised by the ADS. The initial sections of the book covers the basic etiquette of Aikido within the dojo followed information such as basic hand/foot movements, basic joint locks, breakfalls and movement around the mat (Shotei). There are also a couple of additional sections on the state of Aikido today (well in the late ‘70’s / ‘80’s anyway and some brief history. This was the first Tomiki specific book I bought (my first book on Aikido was on Yoshinkan Aikido, by Shioda Sensei) on Aikido. I think at one time it was considered ‘the Tomiki bible’, although this was more likely to have been due to it being the only Tomiki book available. It’s still a reasonable read I think and Loi Sensei certainly has a great Aikido pedigree, being trained at one time or another by Yamada, Inoue, Oba and Tomiki himself. It’s probably a book best suited to beginners now. The early sections on basics are fine and not too limited by the poor quality photography, but once it moves into the advanced traditional kata’s (the ‘Koryu’ sections), it becomes pretty unfathomable. Granted there are descriptions, but given the complexity of some of the techniques in Dai Yon for example, a start/end picture and a couple of words doesn’t really cut it unfortunately. At best these latter sections serve as a memory jogger for the more experienced Aikidoka. All in all, it’s a reasonable book, best suited to beginners. If you want a more comprehensive, better quality example of Loi Sensei’s work, then you are better off seeking out the 2 videos that she produced covering both the Randori No Kata (+Aikido basics) and Koryu Katas. Well, the title let’s us know straight off that this book is going to have a few jokes in and it does. Much of the book is quite amusing, lively and well written. It tells the story of a young man who signs up for a one year full-time crash-course in Aikido. Not just “any” year-long course though. This one is at the Yoshinkan Dojo in Japan and is the course put on for Police Officers wanting to join the Kidotai, the Japanese Riot Squad. I did get the feeling that the author is a writer writing about Aikido, rather than an Aikidoka learning Aikido and then writing about it. I may be wrong but I think he probably saw a book in this project early on, and that was his key motivation to take the course. That’s not really a bad thing, but we do get the feeling that he is there almost against his will much of the time. This is not a criticism, but it may explain the angle the book is written from. We’ve probably all come home from the occasional Aikido session feeling more than a little tired. Well, if you think that you’ve just had a tough training sessions and your Sensei has worked you hard, you might like to compare yourself with some of the scenes of life as a student on the Yoshinkan training program. Broken bones are frequent and a blood-stained Gi is standard. Some students seem almost to hope for an injury “not too bad, but bad enough to get a few days off the mat”. 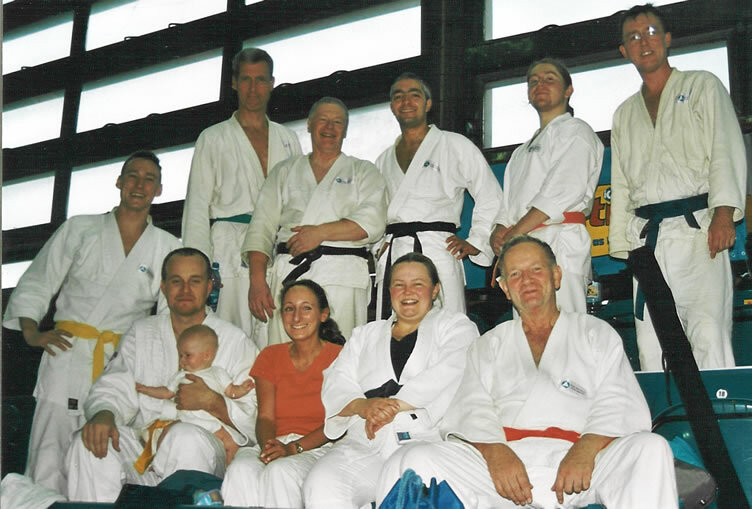 Puts our Sensei’s sessions into perspective, doesn’t it?! “How Does a Man Prove Himself in the Age of Nintendo?” is the opening chapter and shows how modern Japan still maintains a definite link to the past that is difficult to imagine in the West. A joke on a previous book title is one of the chapter titles; “Zen and the Art of Being Really, Really, Angry”. The book has got to be worth reading for that alone! Tachi (the word used to represent a sword) is derived from the word Tachikiru – meaning “to cut in two”. Kanzan Satō having devoted a considerable portion of his life to the study of tachi is clearly a well versed expert on both the history and nature of Japanese weaponry and the book is an informed and detailed assessment of the relevant cutural context along with the physical and esthetic elements of tachi and to a more limited extent some other weapons (tosu, tanto and naginata to name a few), but as a comprehensive technical reference it is not an easy read. It begins with an assessment and pictorial reference of the physical properties ascribed to various types of tachi or katana which relate to the variations in length, shape, width, and unique markings specific to master craftsmen or schools of sword makers. Technical developments such as the highly tempered single edge blade and the introduction of curvature to a blade to ease drawing of the tachi evolved out of the need to refine these weapons for constant civil war through the ages. Guards and mounting points for weaponry demonstrated both practical daily usage requirements and status. In the old sword period up to the mid 14th century sword making tradition was centred culturally in five great provinces Yamashiro, Sagami, Bizen, Yamato and Mino with sword making migrating to the urban and cutural focal points throughout the periods from the mid 14th Century (Heian, Kamkura, Nambokuchi, Muromachi and Edo) through to the abolition of sword wearing in 1876 as Japan embraced the mechanistic and modern influences of the Western world. A significant portion of the book is devoted to Meito (great swords) such as O-Kanihira and Dōjigiri which were recognised as unique cultural treasures early on in Japanese history and were recorded in historical census documents (such as the Kyōhō meibutsuchō) as well as being handed down as precious treasures through significant families and organisations. The practical necessity which resulted in reforming or re-tempering weapons to shorten them for changing use as well as the widespread cultural restrictions brought about as a result of World War 2 meant that a number of treasures have been lost. However there are many beautiful photographs on display throughout the book courtesy of a number of Japanese national museums demonstrating the martial treasures which have been retained for the benefit and appreciation of all. The book concludes with several shorter sections including a fascinating pictorial reference on the making and maintenance of swords along with guidelines on appraisal and comparison of Kotō and Shintō swords. In summary this book is a comprehensive cultural and technical reference for anyone with an interest in Japanese weaponry particularly swords.